one of the most valuable historic and cultural heritages of UNESCO. With sightseeing Vilnius You will meet the Old Town, the historical centre of Vilnius, that is one of the largest in Eastern Europe (360 ha). The most valuable historic and cultural heritage is concentrated here. The buildings in the old town - of which there are about 1.5 thousand - were built over a number of centuries, resulting in a mixture of all European architectural styles. 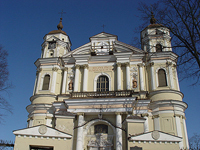 Although Vilnius is often called a baroque city, with sightseeing tour you will find here examples of the Gothic, Renaissance and other styles. 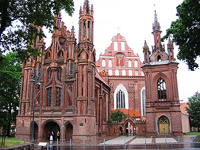 The main sightseeing sights of the city are Gediminas Castle and the Cathedral Square, the symbols of the capital. 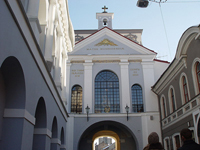 Together, they comprise the gateway to the historic city centre. Take a sightseeing tour to know this beautiful town. 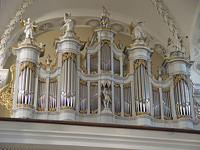 For a good choice of hotels with discount prices, visit Place to stay in Vilnius for more information. 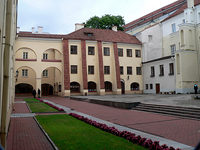 The University of Vilnius, one of the oldest and most famous establishments of higher education in Eastern and Central Europe, was founded in 1579. During 20 years, the unique collection of exhibits from Juodkrantė and Nida have been collected containing the rich set of the amber pieces containing the insects, leaves and other natural debris.